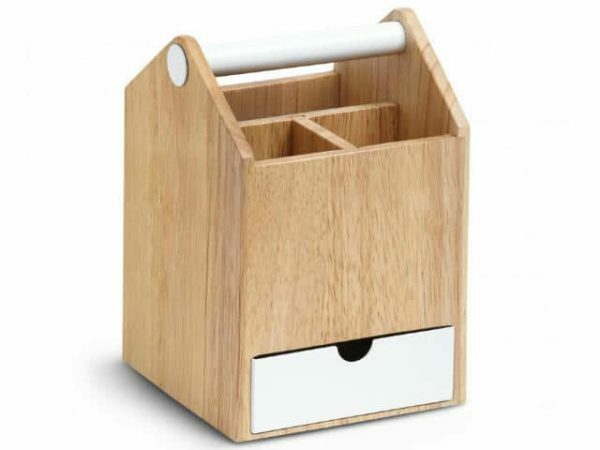 Sung Wook Park cites the characteristics of the toolbox, as his inspiration for the Umbra Toto Tall Storage Caddy. Complement your Scandi decor theme with this two-storey desk or dressing table organiser. 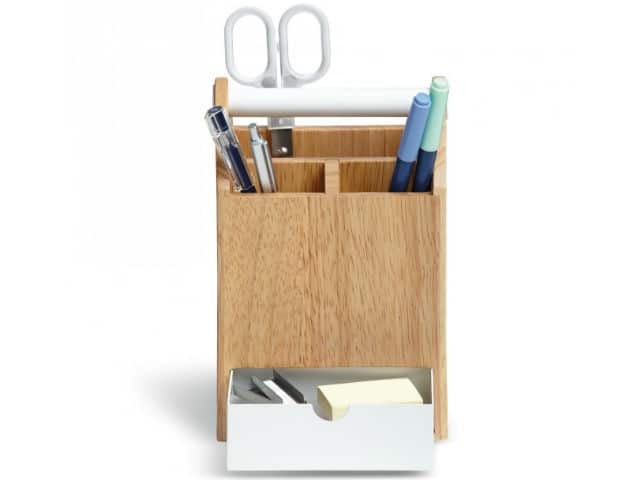 As well as being a beautiful piece of design, it is incredibly practical and flexible in use. 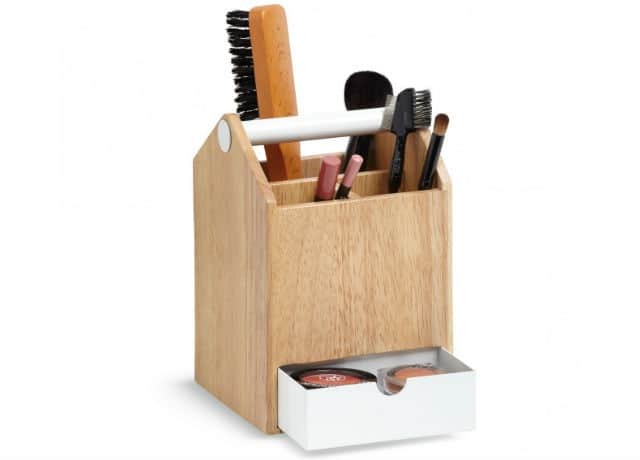 Great for storing all accessories into the various compartments; what you’re looking for will always be at hand. With divided top compartments and a sliding drawer to store accessories.